Dr. Cook has specialized in the psychometric testing of children and families for the last 10 years. Alison received her medical degree from London University and worked as a GP and schools’ doctor in the UK before further training with the British Psychological Society. Alison is an advocate of inclusive education. During her time in the UK she worked as both a GP and a Community Health Doctor to support children with medical needs in mainstream schools. She then expanded her field to assess children experiencing academic, social or behavioral difficulties with an emphasis on identifying the individual’s strengths in order to support them in reaching their full potential. She has increased the range of her assessment work to include families undergoing divorce in the context of Family Court proceedings, making recommendations on how best to support the children moving forwards. 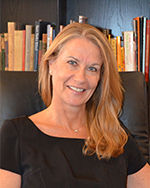 For 10 years Alison has been elected an executive officer of the Psychotherapy Society of Hong Kong and she currently serves as Honorary Vice-President.